The Hardness of Matter and Water fulfills a poetic odyssey Québécois poet Pierre Nepveu began over four decades ago. Through a sequence of four prose poems, his anonymous protagonist walks from the heart of present-day Montreal into its southwestern margins, where the metropolis began centuries ago and which now “lays out its memories on the young grass.” Questioning his sense of belonging, social unease and mortality as he walks, and following “a shadowy voice that neither sings nor speaks,” Nepveu transports readers across wide spans of history, geography, metaphysics and speculation. 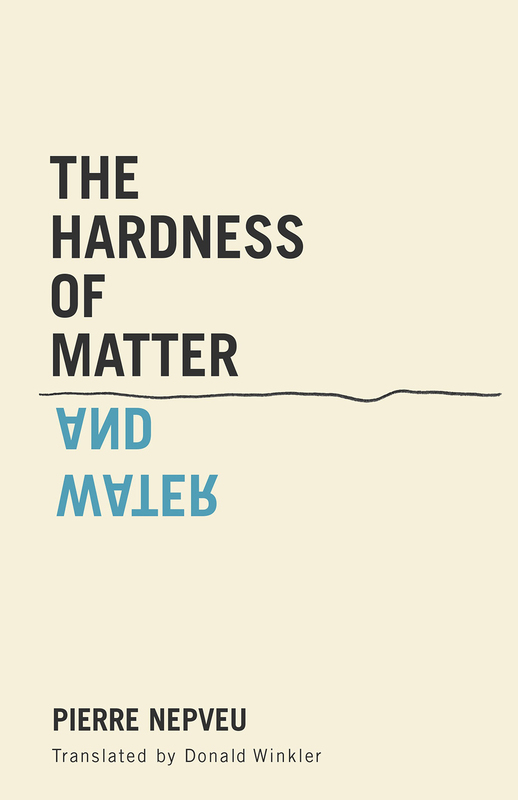 A 2016 finalist for the Governor General’s Literary Award for Poetry in French, rendered in English by award-winning translator Donald Winkler, The Hardness of Matter and Water is poetry at its meditative, insightful best. Pierre Nepveu is one of Canada's most celebrated writers. A five-time winner of the Governor General's Literary Awards in poetry, fiction, nonfiction and poetry in translation, Nepveu was made a member of the Order of Canada in 2012. Donald Winkler is a three-time winner of the Governor General's Literary Award for Translation. His translation of Pierre Nepveu's The Major Verbs won in 2013. He lives in Montreal. 104 pp 8.5" x 5.5"